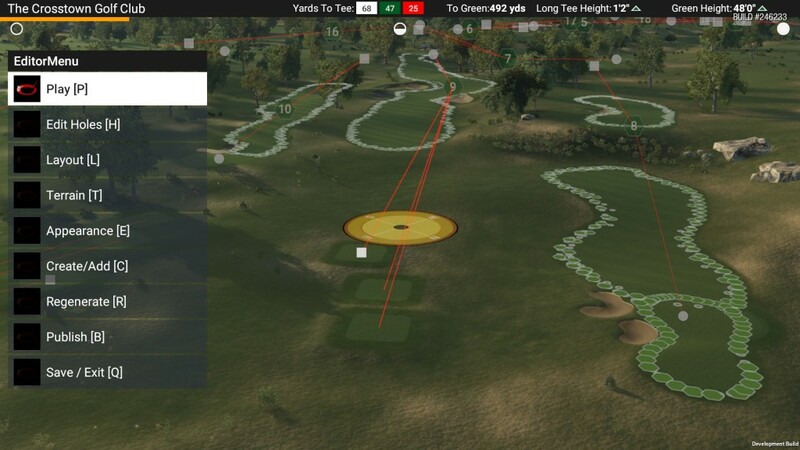 Being that I have a fair amount of experience using the designer, I was asked to write about my experience with the new tools and assets coming in The Golf Club 2. I gladly accepted and look forward to sharing my experience so far with all of you. 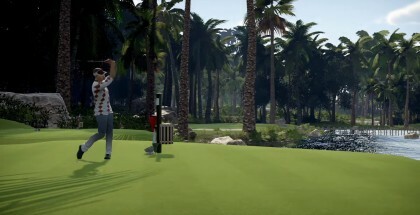 The course designer development continues to evolve moving towards the release of The Golf Club 2.There are new assets and new tools, all of which add loads of cool stuff to be used. I simply cannot wait for the community to get their hands on it. I just know there are going to be even more amazing courses being built when compared to the already great lineup of courses we have in The Golf Club. Where to start?! I could probably write a 10 page paper on all the new stuff but I need to keep it short so I will touch on the most exciting things. No longer will designers be held back by a simple water table. While that still exists, water can now be placed at any elevation the designer would like. 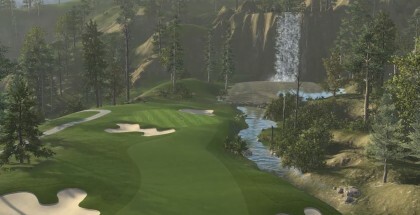 Want to make a mountain lake with a gentle stream running downhill with a few holes crisscrossing that stream? 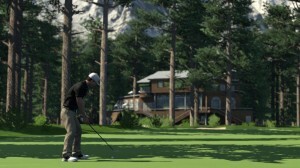 It can now be done in The Golf Club 2. Loads of new assets like buildings, walls, bridges, vehicles, etc have also been added. All of these new items will add a wealth of variety to the courses that can be created. It’s pretty tough to name my favorite new thing so far but if I had to choose it might be the new way to lay out fairways and other surfaces. The brushes are still there but now there is an option to create your own outline of the surface you want to lay down and then you just fill in the middle with the brushes. 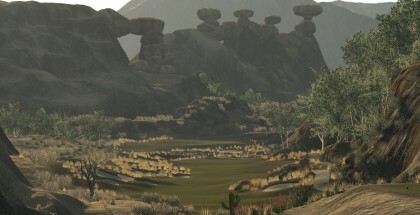 It allows for much faster creation of fairways and I can basically create the shape for the entire fairway in one shot. The other nice part is it will allow for much smoother lines instead of trying to fit together all the brushes, which is time consuming to make them transition nicely. The designer is still evolving through the development process so there will be even more than what I have described here. I have really enjoyed working on my upcoming courses with all of the new tools and assets. 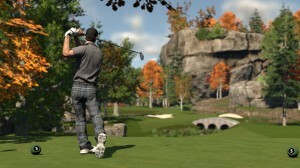 No doubt in my mind that the community is going to find the designer even more exciting to use in The Golf Club 2. 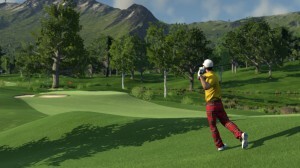 The courses will be more varied with the opportunity for a lot more assets than what we’ve seen up to this point in The Golf Club. Time to get back on the bulldozer! Still some work to do before the release of TGC2!